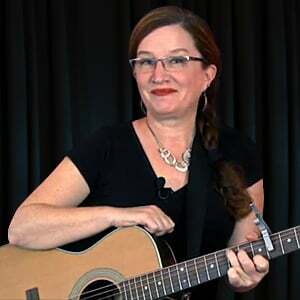 In this lesson, we will learn another song that uses two chords, the Am and the Em chord. 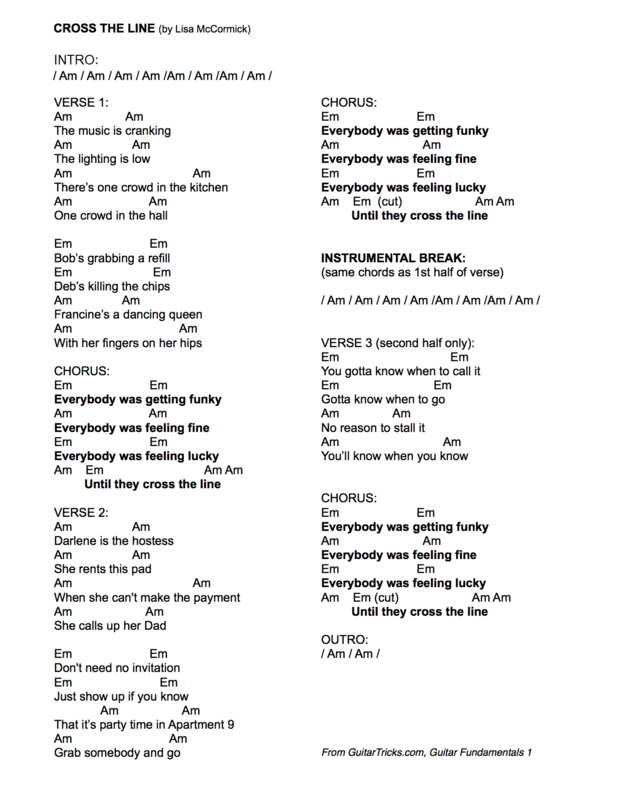 You'll find the lyrics, and a chart for this song, 'Cross the Line', at the 'Image Tab', and you can print them out by going to the 'Print This Lesson' tab. Remember to skip over the low E string with your pick as you strum the Am chord Have fun with learning to play 'Cross the Line'! It is totally normal and natural for it to be very challenging to keep up with the chord changes as we put them in the context of a song and a rhythm. Remember, you can always go back and review the specific chord change tips you learned for the chord changes in this particular song. Practice them nice and slow until you begin to pick up a little more speed. Words and Music (c)2014, Lisa McCormick.